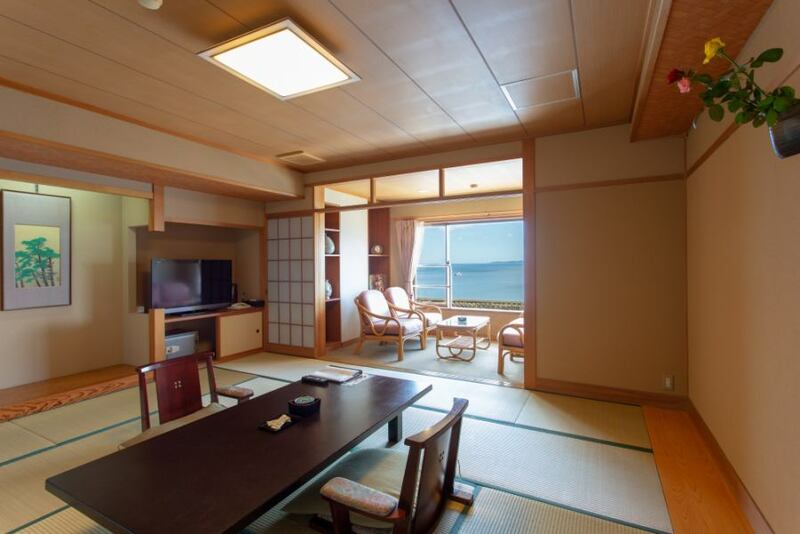 Room of the room with open-air bath.When you look at the window, the ocean is spreading.You can lay your futon up to 6 sheets. 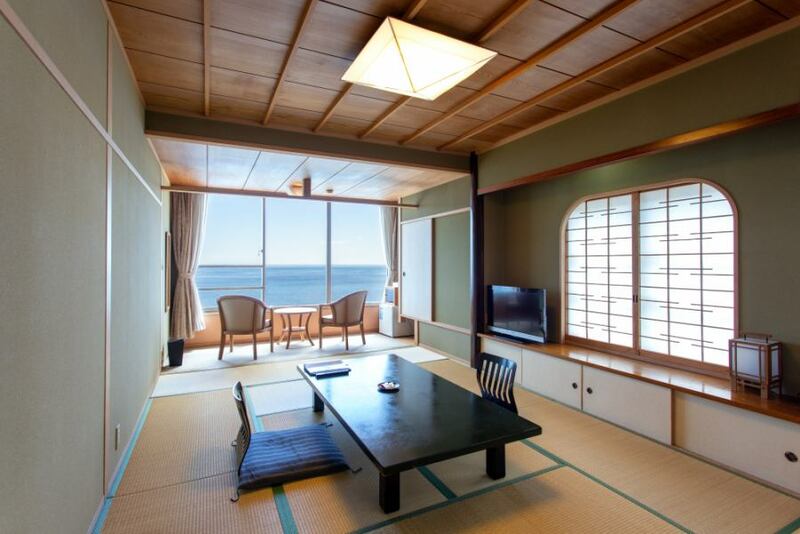 The sea spreads in front of the private outdoor bath. 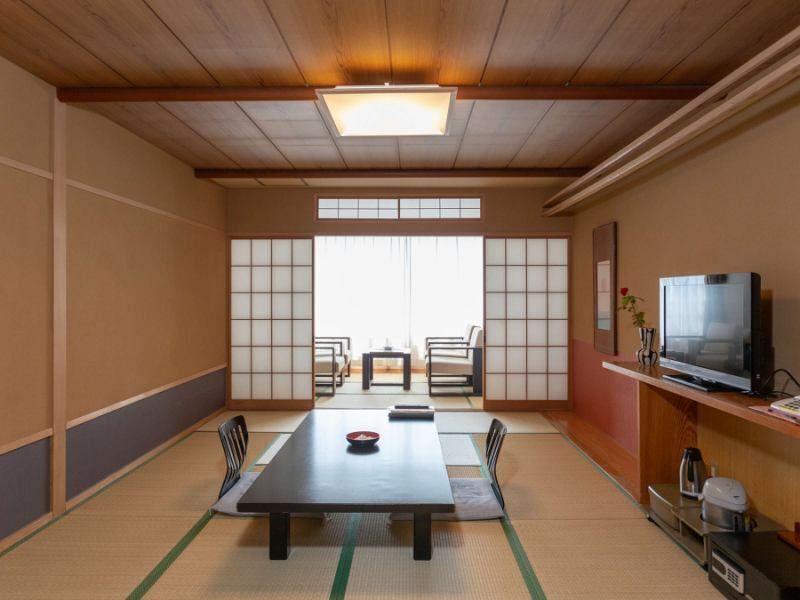 From Sugamoto's Japanese-style room You can see Hatsushima Island on a sunny day when you see Sagami Bay clearly. Please spend an elegant moment while looking at the sea or the sky which changes according to time and season. 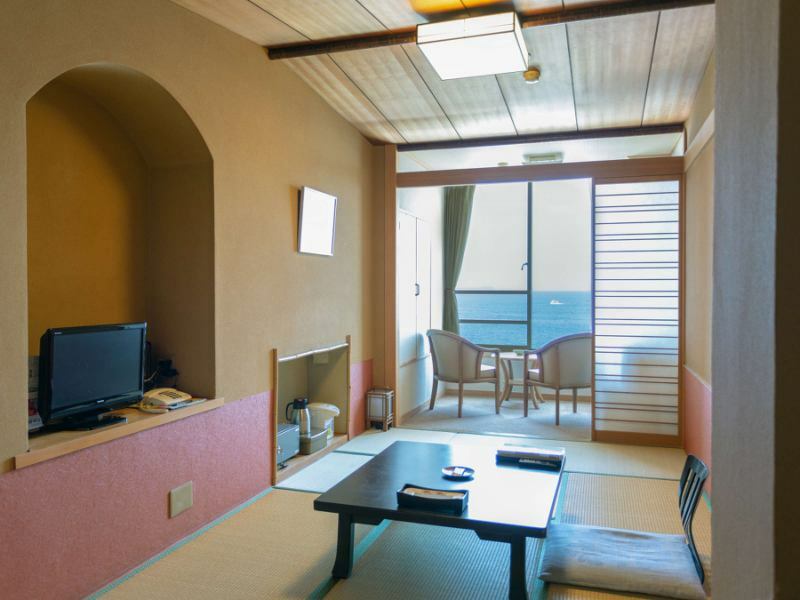 For enjoyment we have a room on the sea side.